Surprising delicious hidden veggie dessert. Spray an 8”x 8” glass baking pan with bakers spray; set aside. In the bowl of an electric mixer, beat together the eggs, sour cream and oil. Add the water, cayenne pepper and brownie mix; stir until just blended. In a separate bowl, smash Margaret Holmes Black Beans with the tines of a fork then add to the brownie batter; mixing until incorporated. 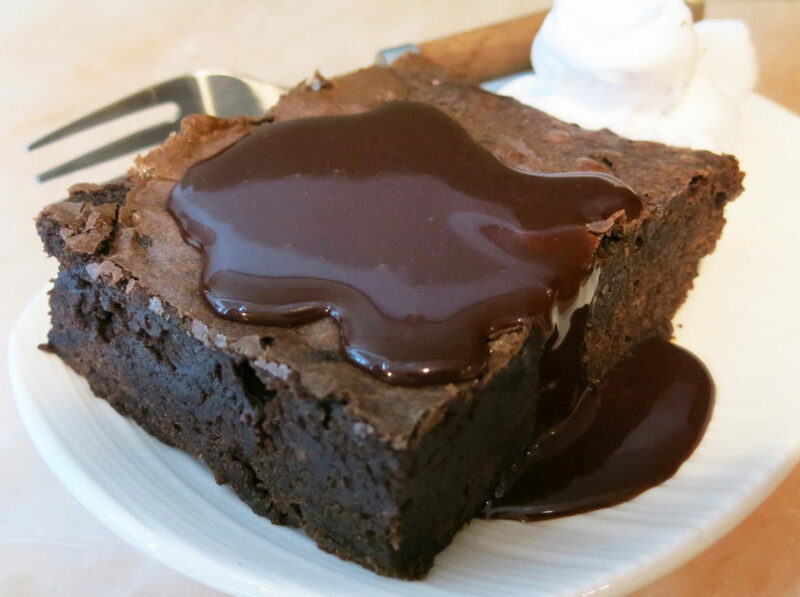 Bake brownie mix for 30-35 minutes or until a toothpick comes out clean. Allow to cool in the pan before cutting. Serve with warmed, bittersweet chocolate sauce and whipped cream.